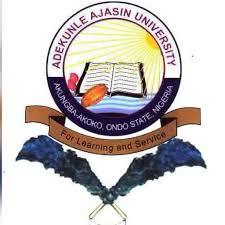 Applications are invited from suitably qualified candidates for admission into the Adekunle Ajasin University, Akungba-Akoko, Ondo State, Joint Universities Preliminary Examination Board [JUPEB] programme for the 2018/2019 academic session. Highly successful candidate, after an approved examination administered by the Joint Universities Preliminary Examination Board [JUPEB] are eligible for consideration for Direct Entry admission into the 200 level of the degree programmes of the University through Joint Admissions and Matriculation Board [JAMB]. A minimum of five (5) Credits (English Language, Mathematics, and three relevant subjects) obtained in not more than two sittings at the SSCE/WASSC, GCE/O/L, NECO with results obtained before registration. The JUPEB Programme of AAUA will provide an intensive one year programme teaching subjects in line with JUPEB Syllabus for admission according to the following subject combination groupings. How to Apply for AAUA JUPEB Admission.